New LE's on Bucks Website.. Discussion in 'Buck Knives' started by bucksway, Nov 8, 2018. Just got a new email..28 LE's! Saw those. Very nice, but too rich for my blood. Glad to see the Waimea brought back. Some nice ones, what do you think about the 212 in W2 steel? I didn't notice the W2..I'll take a good look today. 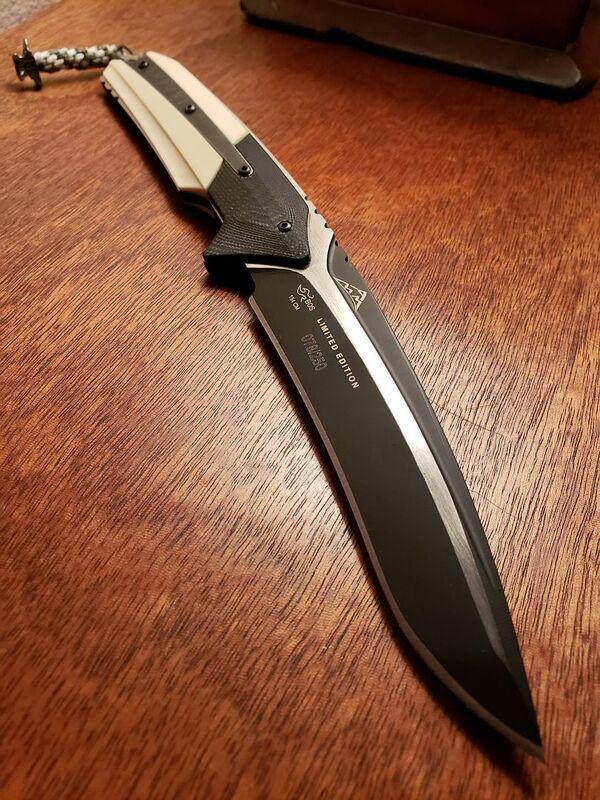 The 110 fixed blade was listed as 'unavailable' at the time I opened the email. Bought about 9 months ago. Very nicely done. It's a fresh knife design. Mark did a great job. Brhowser87, Badhammer, gedlicks and 1 other person like this. David Yellowhorse mentioned on Facebook he would like to work on one.. I dont know if they are intended to be the same but those are referred to as "Limited production", not LE. When I clicked on Bucks site at the top of the page it said Limited Editions...I was a little excited I was the first to mention it here and went with that.. Think they will bring back the Mayo TNT? It was at the BCCI meeting and I believe it's still there. Nice little knife but a little too small for me. Very well done tho. Crazy. How long has it been since the last time they did a run of these? There was 200 in this batch. I just started collecting Buck Knives starting last year, so I have no history on these things except for what I read here. Off and on. You never know when you might see them. Great knife. At some point recently, they added some 302's to the Web Specials. I think these are now "limited Editions" too. Limited to the millions they may have made over the years!